TARGIT Decision Suite is an integrated BI platform which offers integrated data discovery, self-service analysis, ad hoc reporting and dashboarding capabilities. 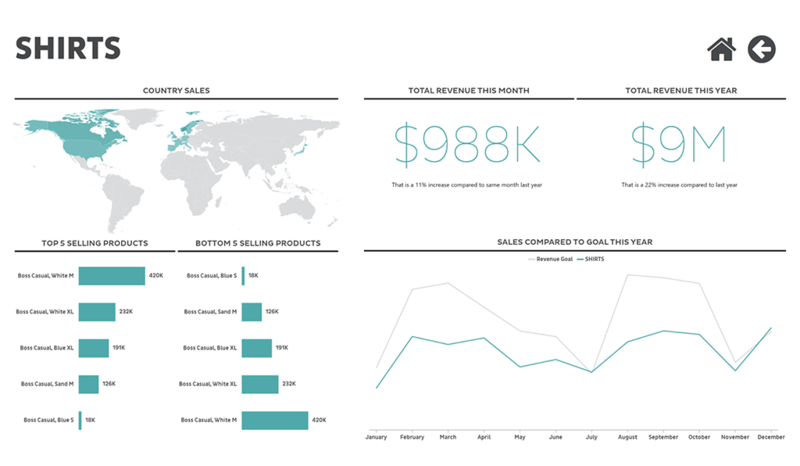 There are also modules for batch reporting, mobile BI, storyboards and data mashups. TARGIT is a privately held Denmark-based BI software company that launched its flagship TARGIT Decision Suite product in 1996. With more than 5,900 customers across the world, TARGIT is ideal for mid-size companies seeking a one-size-fits-all BI platform. However, the vendor is now pitching Decision Suite to an increasing number of large enterprises. In 2017, TARGIT sold 100 percent of its shares to Gro Capital, reorganized the company and began to renew its positioning. TARGIT currently has about 88 employees across Europe and the United States. Its global channels, consisting of over 100 partners, provide the highest proportion of revenues but the company is in the process of increasing direct sales. 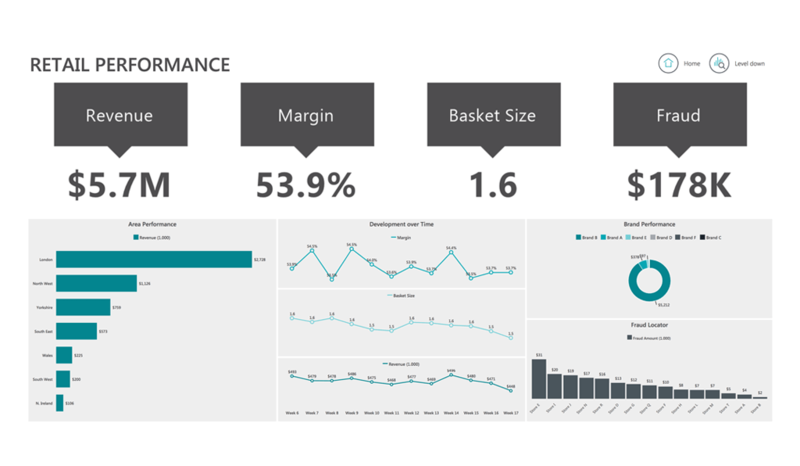 TARGIT Decision Suite was originally built for the Microsoft SQL Server platform and has achieved significant penetration with Microsoft Dynamics customers in general, but also broadly within the retail, heavy machinery and food manufacturing industries. Although the vendor has opened its architecture to other platforms, TARGIT still offers solution accelerators for Microsoft Dynamics systems, which makes the platform interesting for Microsoft-centric customers. 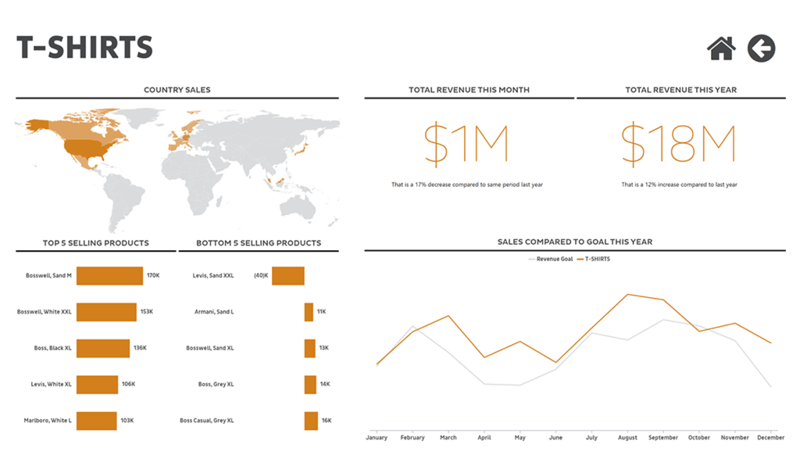 TARGIT Decision Suite offers self-service analysis, ad hoc reporting and dashboards to users and analysts alike. Full-featured integration and dashboard development takes place on the desktop client while consumers can interact with BI content through browsers and mobile devices. BI Survey results suggest the Decision Suite is clearly a popular choice with mid-sized companies. 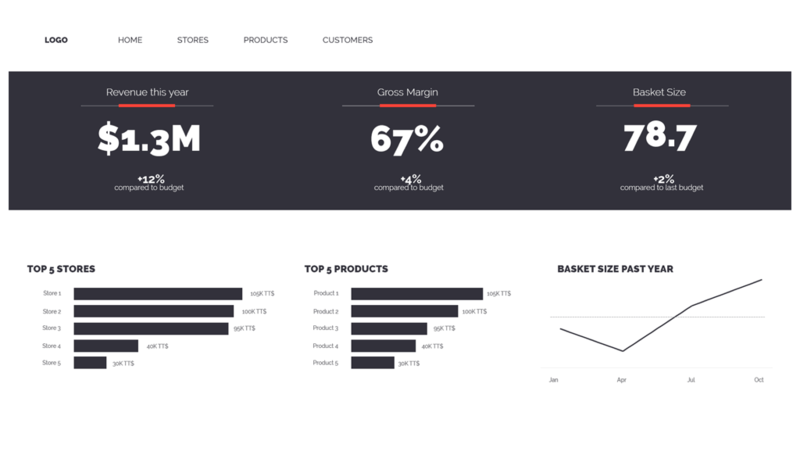 TARGIT’s customers currently use the whole breadth of functionality the suite offers them: standard reporting, dashboards, ad hoc query and basic data analysis. 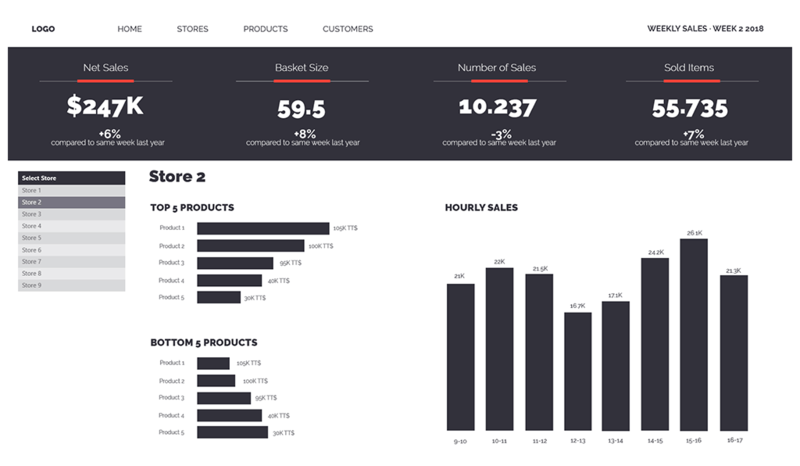 Its usage scenarios and the tasks carried out by business users show the solution’s nature and strength for providing BI and analytics to a large audience with predefined reports and interactive dashboard applications. However, the results also underline a particular emphasis and strength of the Decision Suite: it offers good ad hoc analysis and query capabilities – the second and third most frequent usage scenarios respectively. TARGIT has received consistently positive feedback from its customers over the last three years, reflecting the vendor’s investment and improvements in areas such as visual analysis, mobile BI and location intelligence. TARGIT seems to put a high value on providing reliable and customer-oriented software as its continuously positive ‘Product satisfaction’ KPI shows. Moreover, especially this year, survey results indicate that TARGIT performs well in proof of concepts, often convincing prospects to choose the software. Accordingly its competitive win rate is high, and an impressive 91 percent of respondents say they would recommend TARGIT to others. Want to see the whole picture? 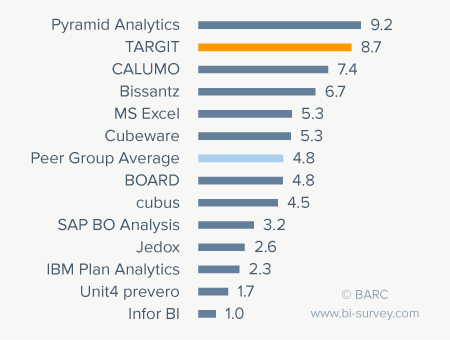 BARC’s Vendor Performance Summary contains an overview of The BI Survey results based on feedback from TARGIT Decision Suite users, accompanied by expert analyst commentary. 81% of surveyed users rate the vendor support from TARGIT as good or excellent. Good quality and value, ease of development, and user adoption has been very effective. 91% of surveyed users would recommend TARGIT. It is a great solution that is able to consolidate a large amount of data and allows us to control who sees what, giving us a great deal of security and power to slice and dice the data in a huge number of ways. Great product to use. Easy to implement, maintain, and use. Fantastic user adoption.